As we get closer to Tuesday's PsychologySalon talk at VPL, I've opted to repost the description for the benefit of anyone who might like to attend. We're in the rooms below the concourse level at Central Branch. Our last talk had 195 people in attendance, so come early! The talk runs 7 to 8:30 pm Tuesday April 24. 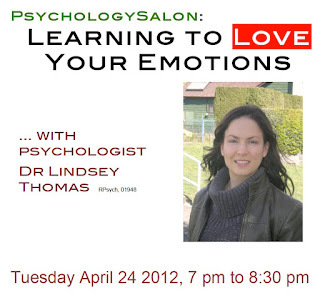 Our speaker is Dr Lindsey Thomas, one of the team at Changeways Clinic. I'll be there too, and we'll have a book table available. Feelings themselves cannot harm us, but instead provide valuable information that could help us regain control over our lives. However, in a society filled with increasing distractions, it seems we are developing an aversion to our emotions. 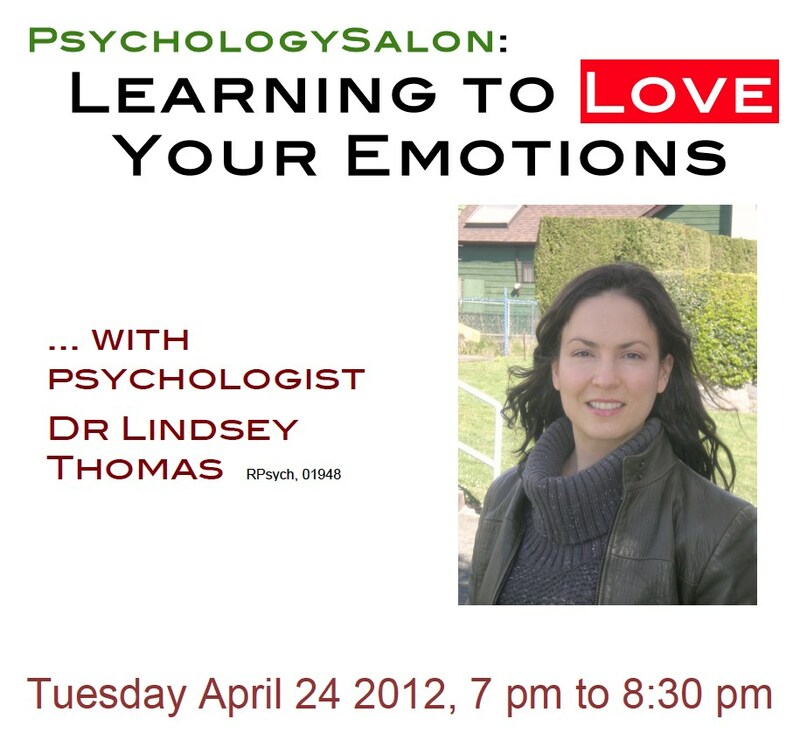 Learning to love your emotions involves a willingness to experience, accept, and face negative emotional states. Dr Thomas and I hope to see you there! Unfortunately no, these talks are not videotaped. You can always attend the next one, however: Tuesday May 22 its Overload - Creating a less pressured life.